Wide choice of garage door in Hanwell, NB | Doorcraft Manufacturing Ltd.
Garaga doors: a choice you'll never regret! At Doorcraft Manufacturing Ltd. we have specialized in the selling, installation and repair of garage doors and door openers since 1987. With over 25 years of expertise in the garage door industry, our commitment, in one word, quality. We set ourselves apart from the competition by providing exclusively top‑quality products and sterling customer service. Our garage door line is made by no one less than the top garage door manufacturer in Canada: Garaga. Their unequaled energy efficiency and solid construction contribute to the success of all of our installations. Click on our image gallery to view over a hundred different models. We’re sure you will find the one to perfectly fit with your house’s architecture. Well‑trained and devoted, our team will assist you in selecting the right garage door based on your needs. Come to visit us at our showroom; you can see and feel our quality products and large selection. Whether your project is residential, commercial, industrial, or agricultural, request a quotation today. We can handle any type of project! What’s the biggest moving part of your home? Surprisingly, your garage door. This is why your garage door opener has to be built to last to ensure the reliability of your system. Renowned as the safest door opener on the market, we carry the LiftMaster line. Chamberlain Group, the manufacturer, puts safety first at each design step. They also use the longest-lasting components to build these unequalled door openers. Whatever your needs, residential, commercial, industrial or agricultural, our trained technicians can guide you in the selection process and recommend the right product for your own application. Visit our openers section to learn more about their features. At Doorcraft Manufacturing Ltd., we firmly believe that proper installation is the key to a well-performing garage door system. Connecting cables and springs under high tension could be a dangerous DIY job. Let one of our technicians do it for you. 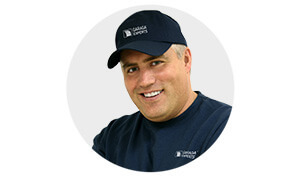 As certified Garaga Expert, your assured that only a well‑trained technician will come to provide service. Does your garage door need any repair? With our fully‑equipped fleet of trucks, we can quickly get to your home or business to fix or replace your garage door. We will not only repair the broken part, we will also inspect your whole system to make sure that it works properly and safely. Whether your application is residential, commercial, industrial or agricultural, we provide our complete range of services. Feel free to schedule a service call online now. We proudly serve a wide area of New Brunswick including St. Stephen, Oromocto, Fredericton and other surrounding cities. Fredericton, Oromocto, Minto, Chipman, Doaktown, Boisetown, Stanely, Nackawic, Woodstock, Harvey, McAdam, St. Stephen, Saint Andrews, Welsford, Geary, Coles Island.